Don't you just love buying Lush products. Walking into that shop just makes me happy and walking out of the shop with a bag in my hand full of wonderful purchases makes me even more happy! I went to Dublin before Christmas for some shopping and picked up a few bits I wanted to try out. It was mega hectic so you couldn't exactly walk around and look at everything so I probably would have picked up more if I could have looked around in peace but there's always a next time! 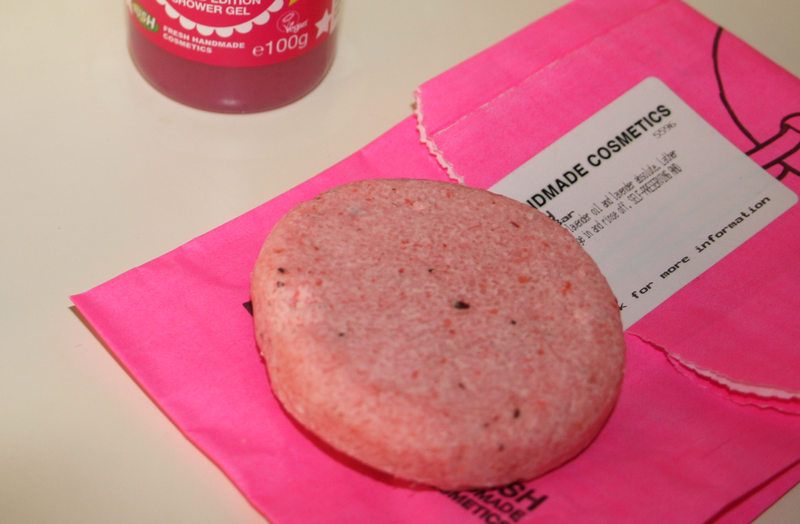 The first thing I picked up was the 'Lullaby' shampoo bar €7.90. I went in knowing I wanted to pick up a shampoo bar but didn't know exactly which one. When I smelt this one I knew this was the one I was going to try out. It has a really gorgeous lavender and chamomile scent to it that just makes you feel relaxed. I actually wasn't aware of this one before so when I came home I went onto the website to read about it and it's recommended for children ages 2 and up. Trust me to pick up the shampoo bar for children. However it smells so lovely and I adore it and it's definitely going on my re-purchase list! 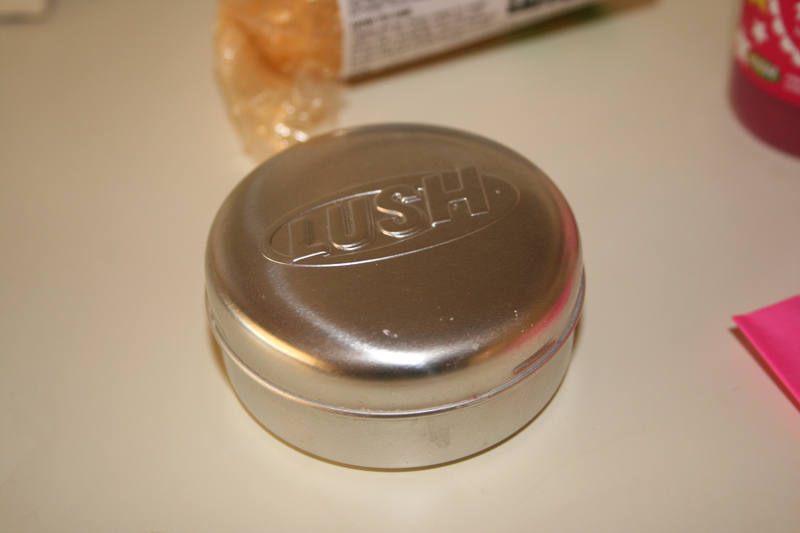 I also picked up the shampoo bar tin €3.00 just as it's much easier to store the shampoo bar in instead of keeping it in the shower or putting it back in the little paper bag. Only thing I'm surprised about is it doesn't actually fit in the tin straight away which really confused me to be honest. I have used the shampoo bar about 3 times so far and I find it takes a long time for the bars to start shrinking (in no way a bad thing) so it's still just resting on top of the tin until I can finally fit it in. As soon as I seen the bottles of Snow Fairy all displayed ever so nicely I had to pick up a bottle to try. I only picked up the small bottle €4.75 because it was my first time trying it so I didn't know how much I'd actually like it, plus the bigger bottle was almost twenty euro and there was no way in hell I was paying that for shower gel. I have to say this is very sweet like very sweet! As much as I like it and it makes your bathroom smell of candyfloss I definitely wouldn't use it everyday because it's so sweet. It's definitely a nice little treat though. There is also glitter inside of the shower gel but I don't really notice any of it on my skin to be honest. Finally I picked up the Gold Fun €6.50. I went into the store knowing I wanted this and as soon as I found it I went straight to the cash register totally forgetting to smell the actual product to see if I actually liked it. When I got home I finally realised that but thankfully I adore it! It smells like caramel and kind of makes me want to eat it. It states that it smells like Honey I Washed The Kids so if you're familiar with that scent this is what the gold fun smells like. I will say though I'm so confused by it really as it's really strange to use because it basically reminds me of play-dough but softer. Weird description I know but I honestly have no idea what other way to explain it. Over all I really adore the three products I did buy and they all smell so good! I do wish there was a store in my town but then again I would probably be broke 24/7 if there was so maybe it's for the best I don't get to go to it all the time. 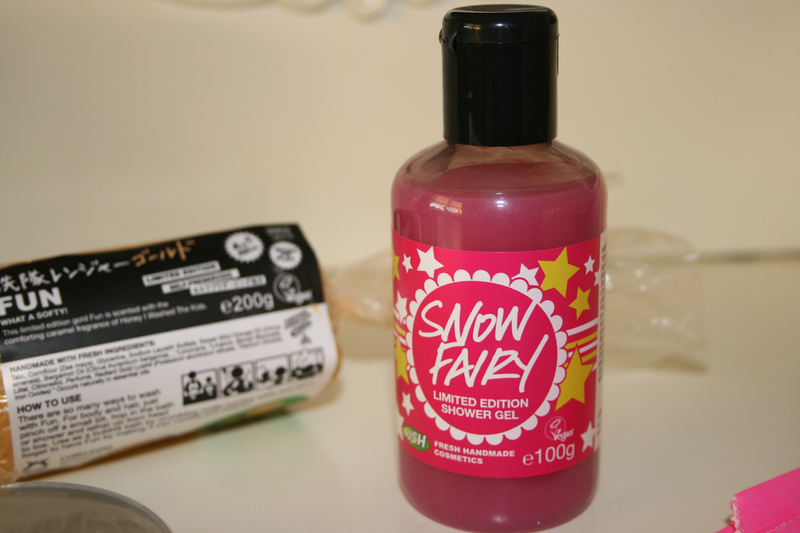 EveryOnes been talking about snow fairy, I'm going to have to try it! The gold fun bar looks so pretty, there's too many things I want haha. Snow Fairy is sooo yummy, i love it! I love lush so so much :) the gold FUN is fantastic as a soap and to run under the tap as it makes amazing bubbles with a gorgeous smell! 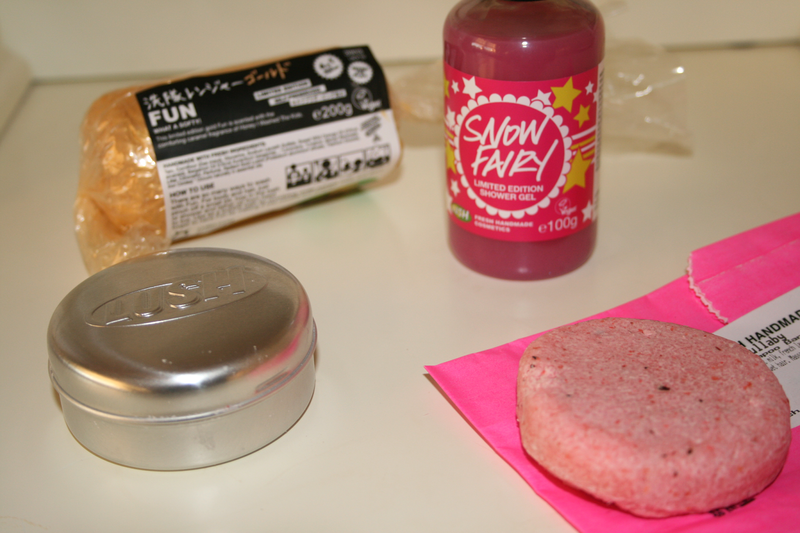 I love Lush's Snow fairy, and I wish they would sell it all year round.